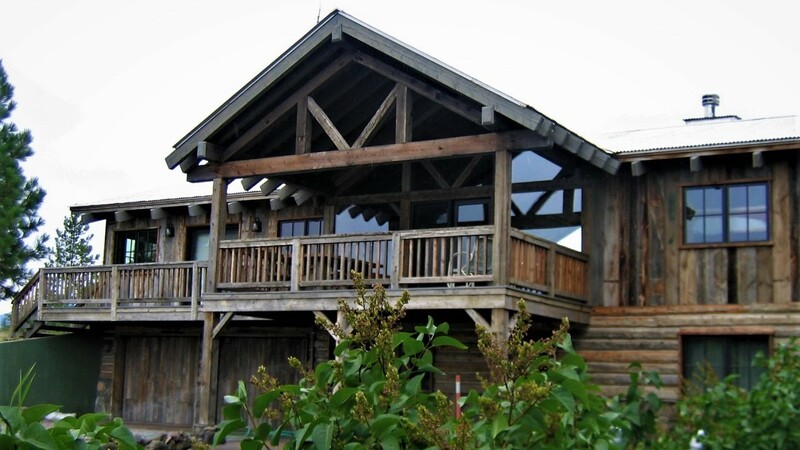 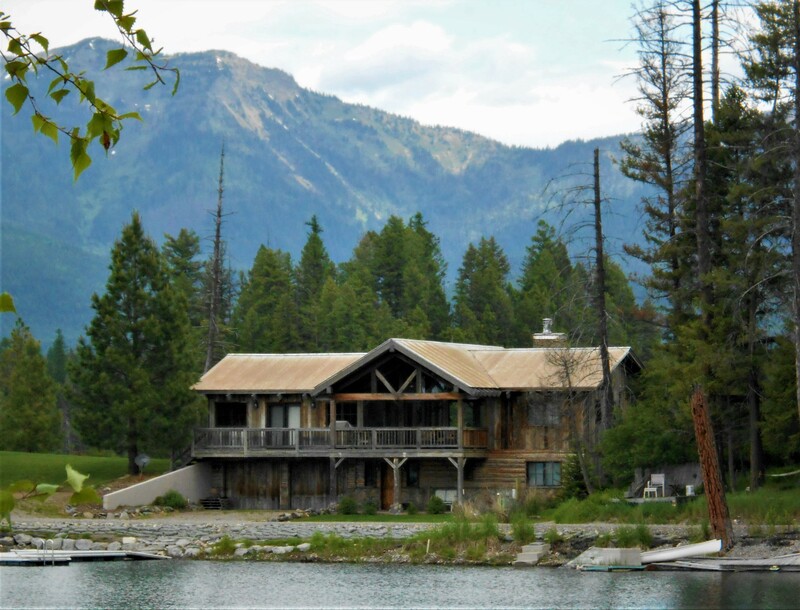 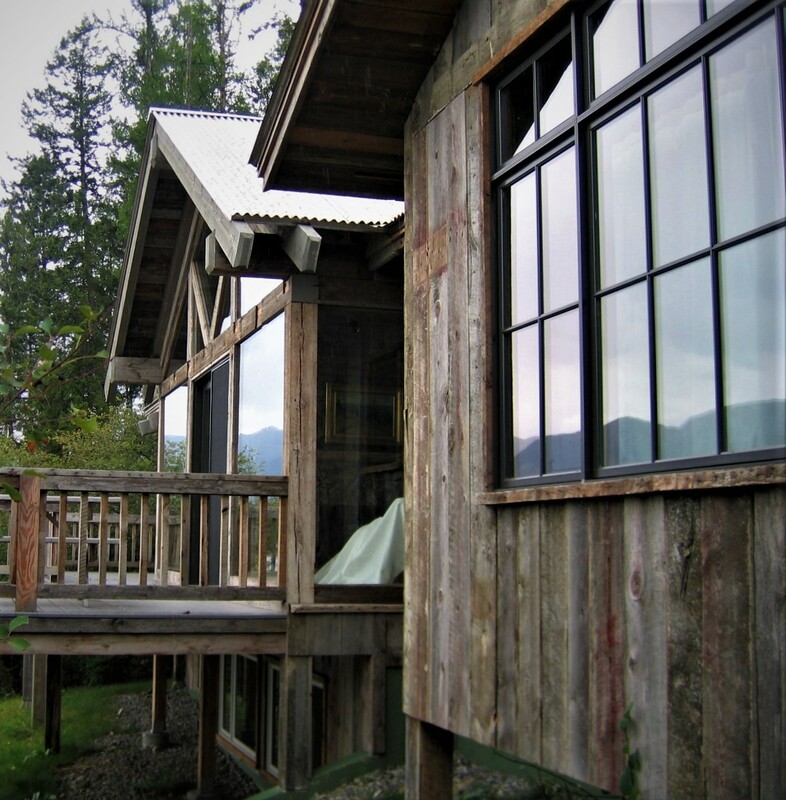 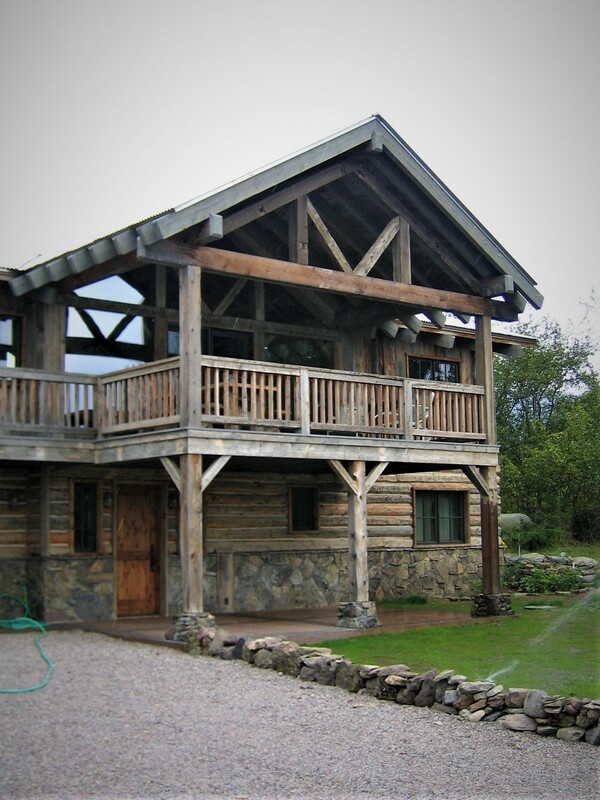 Extensive use of reclaimed wood barnwood siding make this lakefront cabin special. 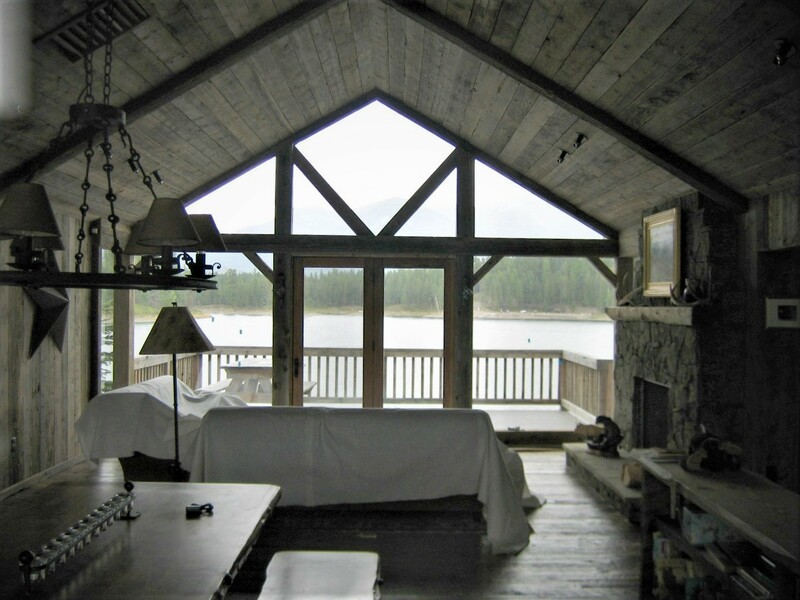 Hand hewn timber trusses mix nicely with modern detailing and furnishings. 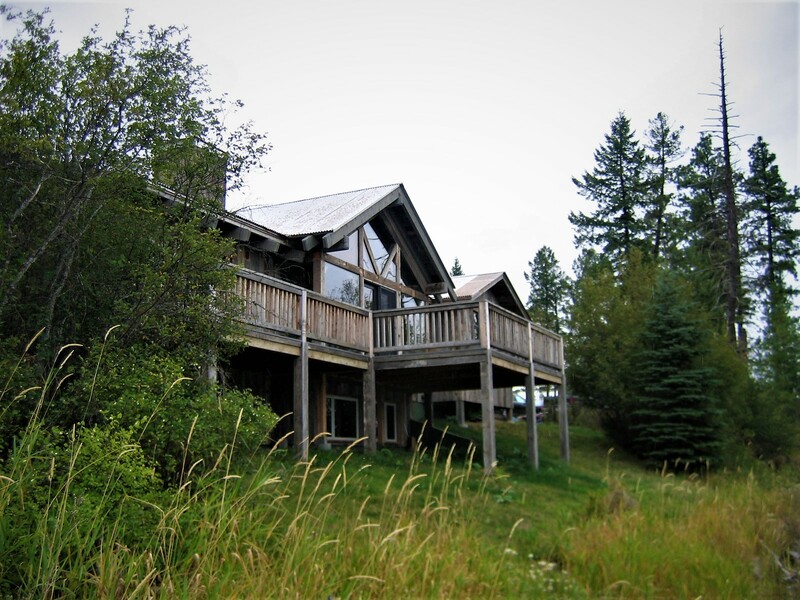 Black modern windows and open living spaces are perfect for the Montana lifestyle.